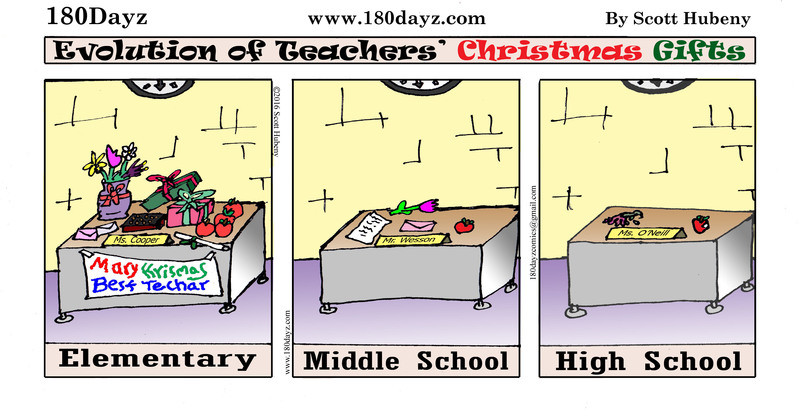 It’s the most wonderful time of the year… for an elementary school teacher! Seriously, they get showered with gifts while those of us that teach the upper grades might be lucky enough to receive a broken candy cane. Oh well. if we were in this profession for the goods we could get out of it we would have realized a long time ago that we picked the wrong profession. Nope, I myself, as I’m sure every educator out there, feels blessed enough when we see our students faces light as they understand a new concept. These little moments are all the special gifts we’ll ever need, or so I keep telling myself as I stare at my empty stocking. Come on santa, where are you?! !